Display your business's most important information in an easy to read format for all of your customers on-the-go. 80% of searches are done from a smartphone. 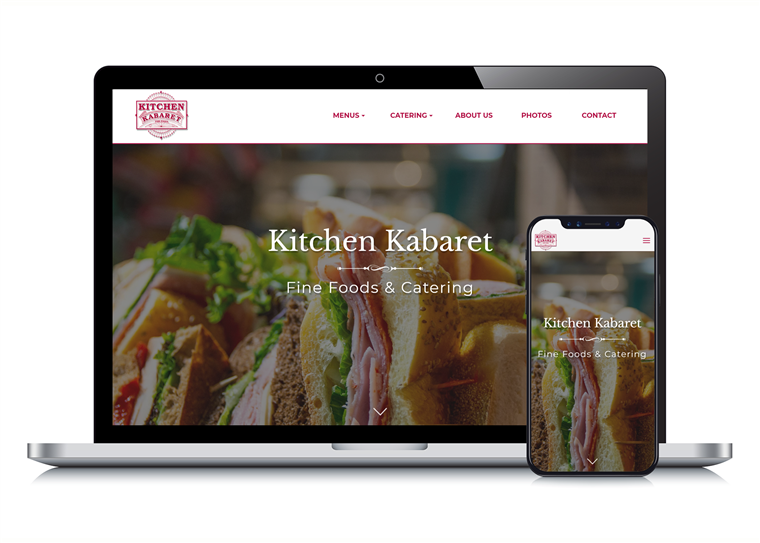 We give your customers a safe place to land with a mobile website that's clear and simple to use. 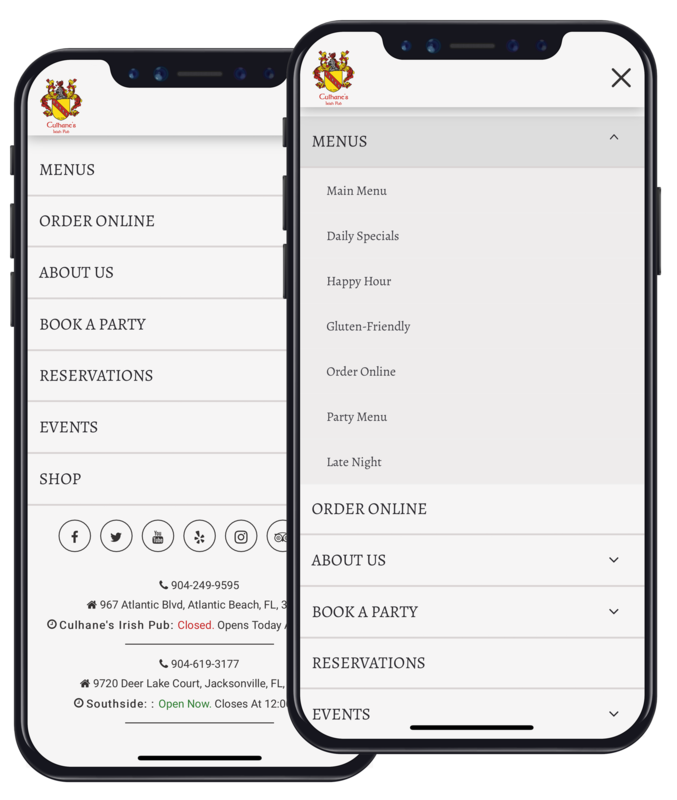 Our mobile websites allow all of your most important information, including menus, hours, contact info, and social media links, to be found with the click of one button. 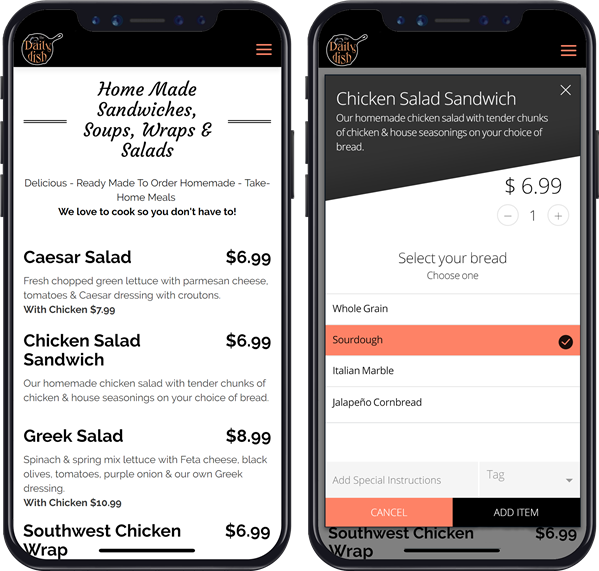 Integrate Online Ordering PRO, our custom-branded online ordering platform, to make placing takeout orders a breeze for your customers. Your time is important, so don't waste it making twice as many edits. Update important nformation on your Ordereze website and watch as your mobile site updates too. Search engines like Google lead users to mobile optimized websites first. Get found quicker and boost your rankings organically with a website that can be trusted across the board. 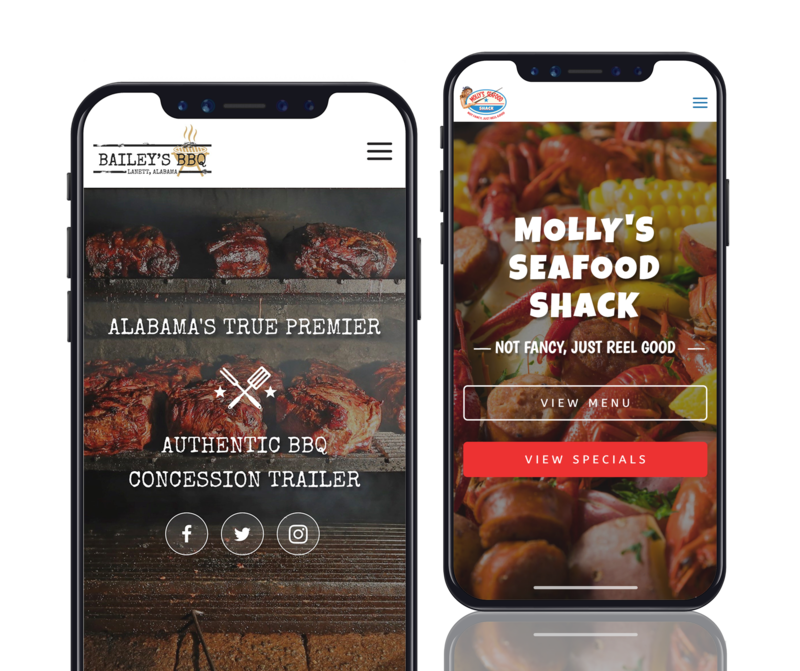 The majority of people are checking out your website on a smartphone, which is why we design mobile-first. Our easy-to-use format guarantees a smooth experience every time. Simply having a mobile friendly website helps you stand out against those who don't. Ensure you have the upper hand in order to broaden your reach and gain more customers.